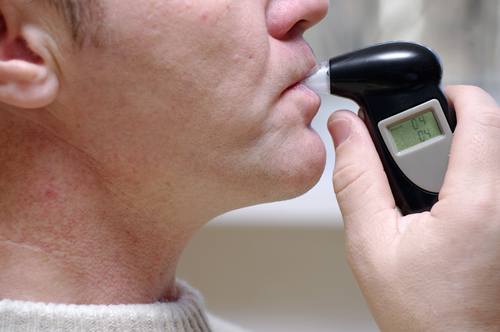 Breath and blood tests are the primary forms of chemical testing that law enforcement officials use to evaluate drivers’ blood alcohol concentrations (BACs) during DUI stops. Generally, police request that drivers submit to breath or blood tests after having spoken to drivers for a bit and observing their performance in field sobriety tests (or after a driver has refused to submit to field sobriety testing). Breath and blood tests can be effective in evaluating BACs, but they may not always be as accurate as people think. Here’s why. Contact us for the best DUI defense. Only use breathalyzer devices that have been properly calibrated. For blood tests to be properly administered, the blood should be drawn by a trained and licensed blood draw technician (or nurse), and the drawn blood samples must be handled in a specific manner to ensure they are not contaminated. It’s important to note that these are not the only requirements for properly administering breath and blood tests during DUI stops and that police reports for DUI stops should include the details of how these tests were administered. You could still be arrested for DUI. You will automatically lose your driver’s license for one year. BAC Test Refusal Driver’s License Suspension Early Reinstatement? Probationary License Possible? Both the results of breath and blood tests – and people’s refusals to submit to them – can provide prosecutors with strong evidence against drivers in DUI cases. Specifically, while the breath and blood tests can provide results indicating a driver’s BAC, prosecutors can argue that a refusal to submit to these tests is “evidence” of a person’s guilt (as the driver didn’t want to submit because he was drunk, prosecutors may argue). The results of breath and blood tests are not always accurate. Depending on the facts of your case, it may be possible to argue that breath and blood tests were not properly administered and/or that their results are inaccurate. An experienced attorney can be essential to helping you mitigate the potential impacts of breath and blood tests so you can resolve your DUI case as favorably as possible. Have you or a loved one been charged with a DUI? If so, the Broomfield and Boulder DUI defense attorneys at the Peter Loyd Weber & Associates are ready to provide you with the strongest possible defense while helping you obtain the best possible outcome to your case. To discuss your best DUI defense options, call us today at (720) 863-7755 or email us using the contact form on this page. We offer complimentary consultations, and we take pride in always being available to our clients – 24 hours per day, 7 days per week – so that they have the personal attention their case deserves.